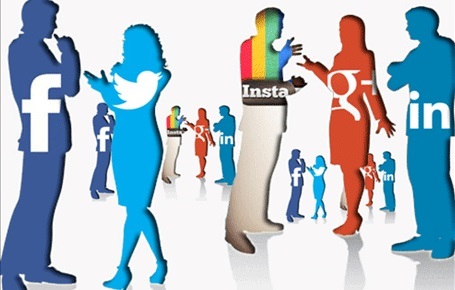 Celeb Experts > CelebExperts News > Why Has Utilizing Social Media Stars Become So Challenging? It’s easy to say utilizing social media stars to affect your company and/or brand’s fortunes have become so challenging because the flood of influencers and the seeming endless lack of real data anyone of them can provide. But the truth is it is far more basic than that! Social media platforms have decided it’s time to make money. See, I told you this would be easy. But very, very complex. What does this mean exactly? Truth be told it means many things but mostly when a social media star takes on an engagement from a brand in the past, the content they put out on let’s say Instagram was reaching 100% of their audience. That is no longer true today. Why? Because if the Instagram sales folks can segment that influencer’s audience they now can sell over the entire audience so you will be forced to go acquire from Instagram what you used to be able to acquire from the influencer. In this article, a social media strategist and digital asset manager laments Facebook/Instagram’s attempt at becoming more “relevant”. Since most users see less than 70% of their feed, now taking it out of chronological order will probably reduce engagement because social media users like things in a nice neat timely package! The lower the engagement, the less productive hiring a social media star will be. Now not all is doom and gloom for the practice of utilizing social media stars. Facebook just last week started allowing influencers to gain access to their demographics for Instagram. Think about this. Hundreds of millions of dollars have changed hands and NO one knew what any influencer had as their hand of cards. When you think about it, that is just insane and a lot of people probably should have been fired on the brand and agency side. Could you imagine buying TV time and having no idea who you were advertising to, just your gut instinct? That is bad business. So with Instagram being more transparent, the efficiencies of brand’s buying and utilizing social media stars will go up, the databases of influencers will become better defined and presumably the cost efficiencies will come down because brands won’t just pay for aggregate numbers of influenced, but actually the number of people in any social media star’s flock that fit the right demo! The ability for brands to hire social media influencers on a level playing field should help small and emerging brands take that leap in the social media pool more aggressively since that is where the volume in the market exists. If your company, brand or agency is looking to engage a social media star for hire, contact consulting@celebexperts.com so one of our agents will call you back immediately. Previous post Add a Hot Celebrity to Your Summer Campaign!